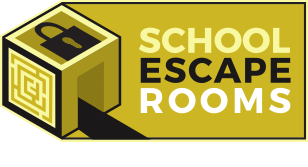 The Prices for Primary School (KS2) and Secondary School (KS3, KS4, KS5) Classroom Escapes are below. These include all associated costs such as accommodation and travel. These prices are plus VAT which most schools can claim back. One instructor can run 4 sessions, with a KS2 class in each, in a day. Each instructor can run a session for 30 students at a time. If you have a greater number of students that you wish to particpate then you will need an increased number of instructors. If you need an greater number of instructors please do get in contact. Please use these durations as a guide as we can fulfil any numbers of days that a school requires. Multiple days are provided at a discounted rate.